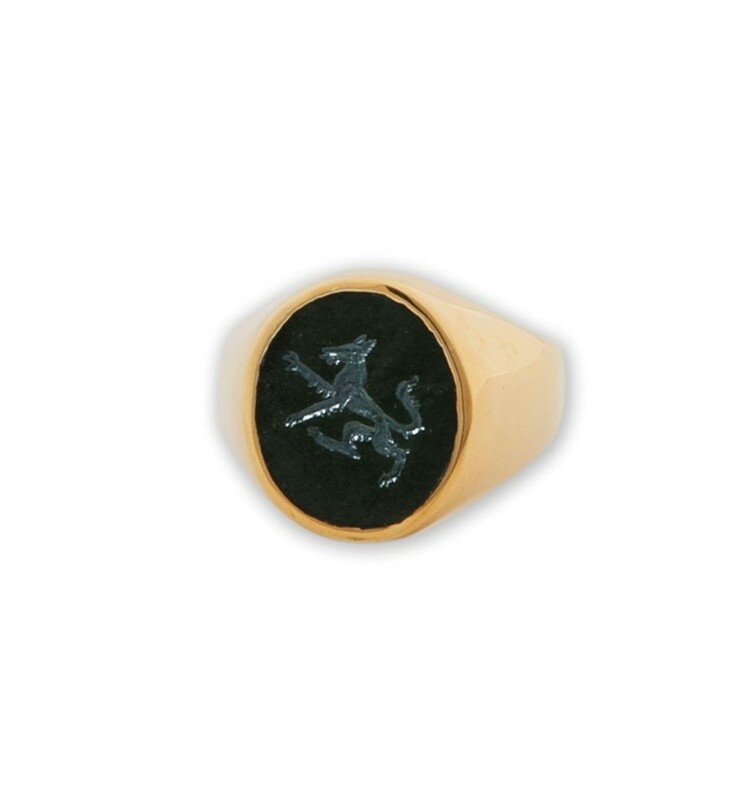 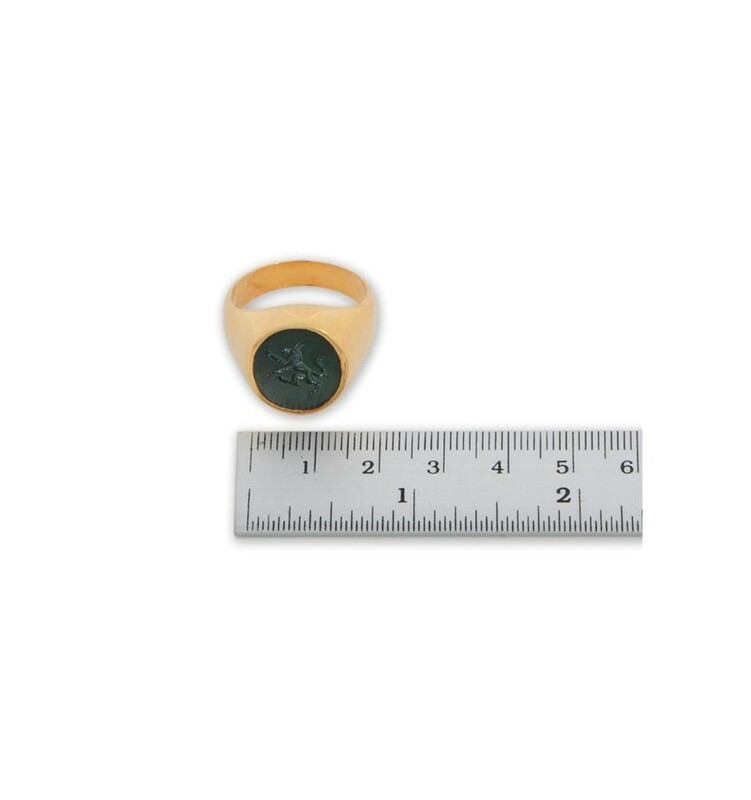 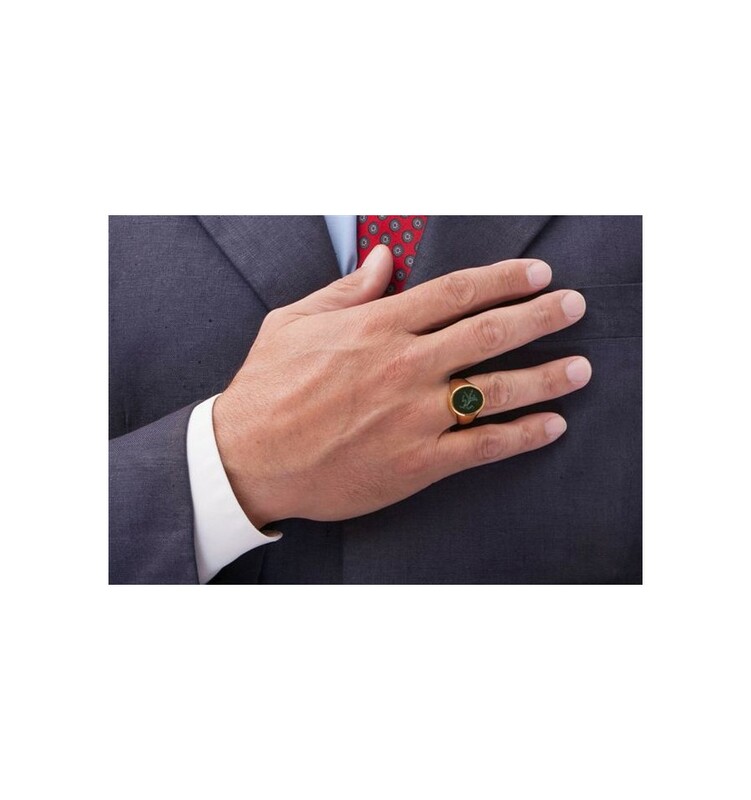 A wolf ring featuring a heraldic Black Onyx wolf rampant engraved intaglio to the oval and set to a gold plated sterling silver chassis with no shoulder decorations. 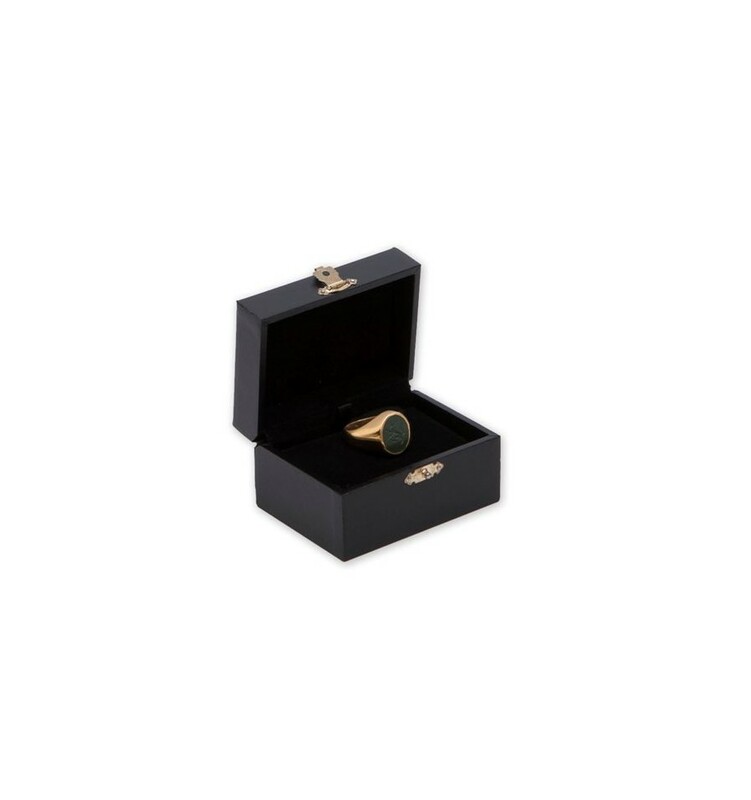 This wolf ring is hand engraved intaglio to an oval of genuine Black Onyx which is held in a solid gold plated sterling silver chassis with plain shoulders. 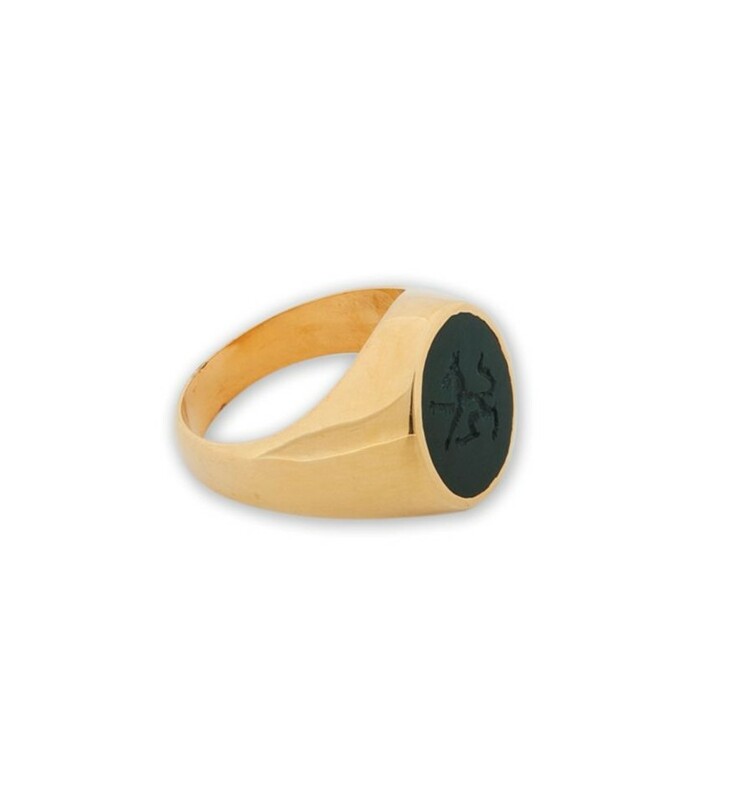 This wolf ring is a fine example of one of our medium sized family crest, heraldic rings. 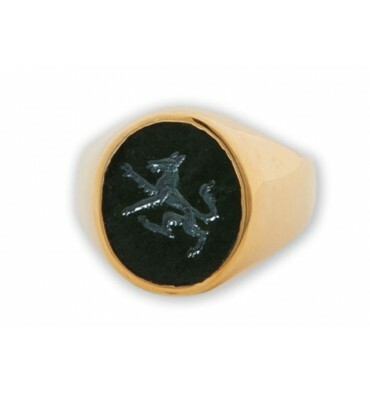 That's why our high quality heraldic wolf rings are so affordable.